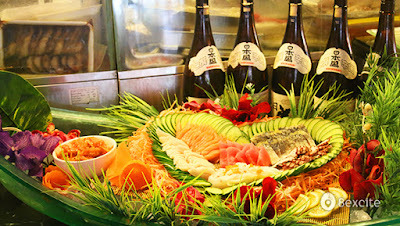 Shogun™ & Saisaki™ are premium Japanese Buffet Restaurants that serve more than 200 types of Japanese, Korean, Thai, Chinese, Western and local delicacies and is renowned for its superior quality and unmatched tastes. You must purchase the “Weekend Lunch/Dinner Buffet for 1 person” option to purchase a deal that falls on a public holiday, even if the public holiday falls on a week day. E.g. 30 Aug 2017(Merdeka Eve) and 31 Aug 2017(Merdeka day). Not valid with other promotions such as birthday promotions, VIP cards, and/or discounts. The maximum number of admissions allowed for 8excite customers is limited to 30 per session. Valid hours for the lunch buffet option is 1pm to 3pm. Valid hours for the dinner buffet option is 7.30pm to 10pm. Reservation required and needs to be made at least 24 hours in advance. To make reservations, call 03-2166 3728 (SAISAKI™ Wisma UOA II) or 03-5622 1831 (SHOGUN™ Sunway Pyramid). Food sharing is strictly prohibited.